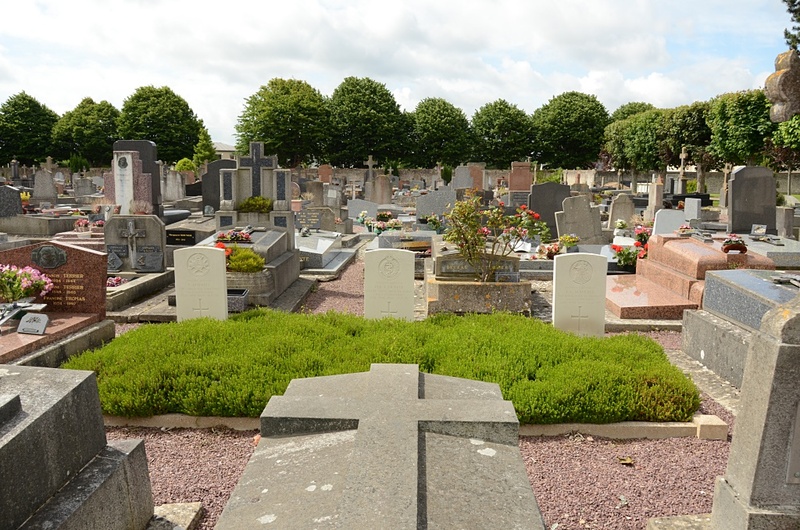 Ouistreham-Riva-Bella is a commune and village at the mouth of the River Orne, 15 kilometres north-east of Caen. The Communal Cemetery is 800 metres from Ouistreham, on the the north side of the D35E road to Colleville-Montgomery. 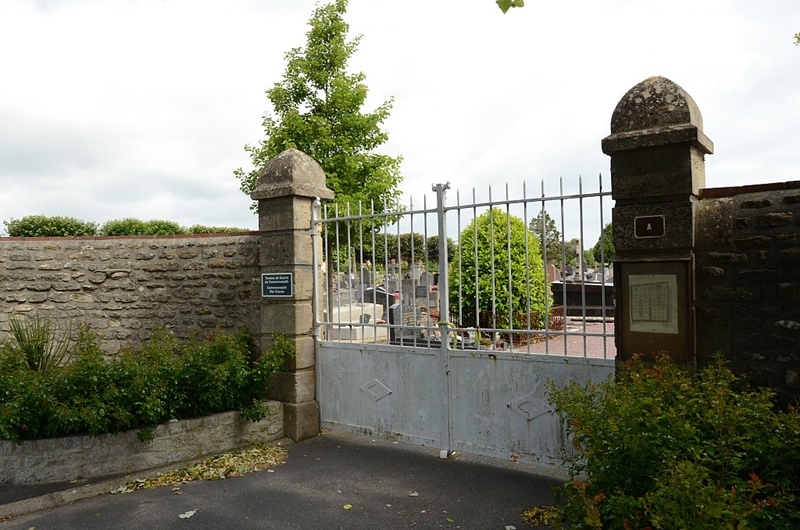 There are 5 Commonwealth burials of the 1939-1945 war here, located in the north-west part of the cemetery. 1378956 Sergeant Edward Appleton-Bach, Pilot in 131 Squadron, Royal Air Force Volunteer Reserve, died 18th November 1942, aged 27. 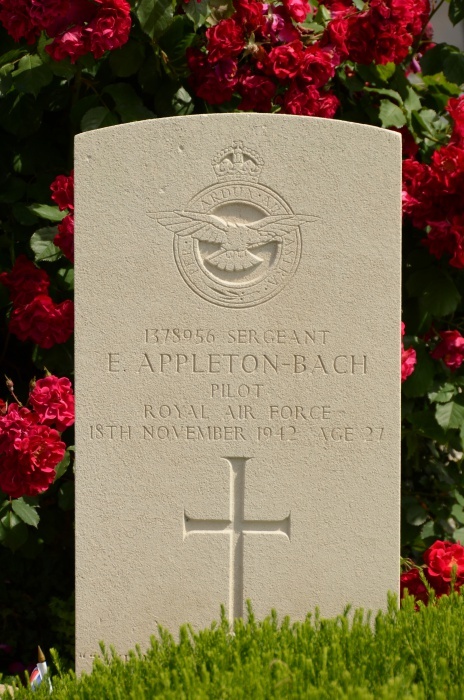 Son of Joseph and Olive Appleton-Bach, of Steatham Common, London. 4985218 Private Frederick Burkitt, Sherwood Foresters (Notts and Derby Regiment) and No. 4 Commando, 6th June 1944, aged 24. 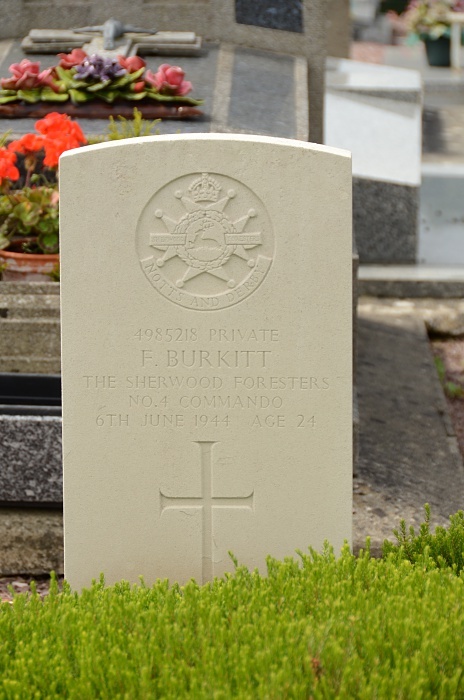 Son of Fredrick and Janet Burkitt, of Chesterfield, Derbyshire. 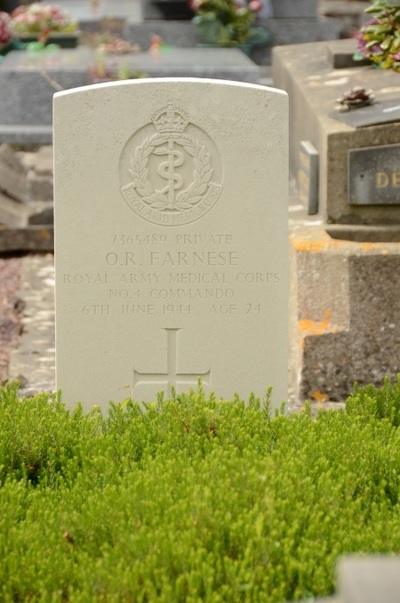 7365489 Private Orlando Raffaele Farnese, Royal Army Medical Corps and No. 4 Commando, died 6th June 1944, aged 24. Son of Ercole and Trofimena Farnese, of Stepney, London. 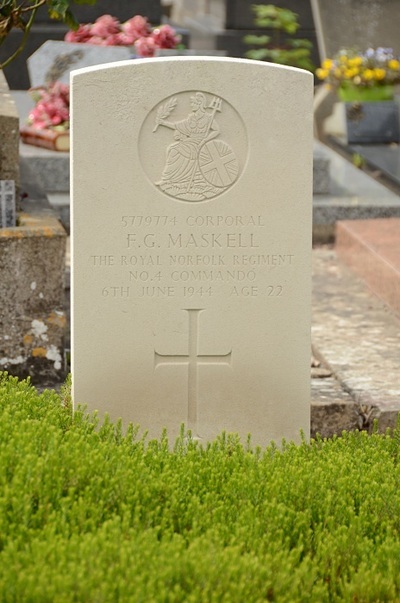 5779774 Corporal Frederick George Maskell, Royal Norfolk Regiment and No. 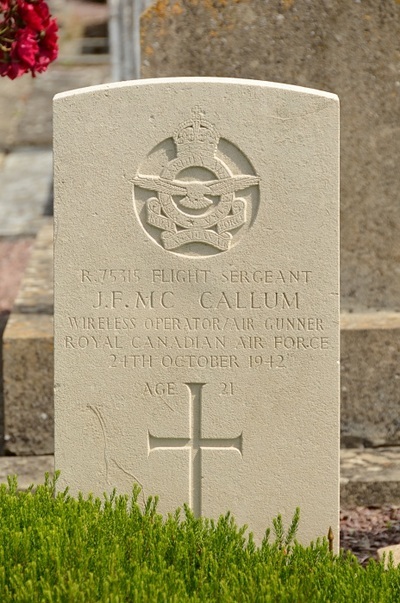 4 Commando, died 6th June 1944, aged 22. 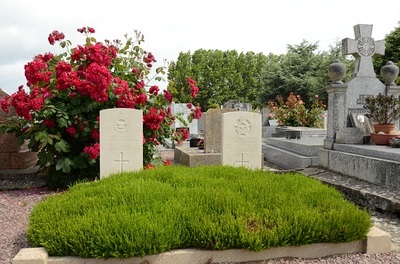 Son of Frederick George and Hannah Maskell; husband of Florence Emily Maskell, of Bow, London. R/75315 Flight Sergeant John Francis McCallum, 207 Squadron, Royal Canadian Air Force, died 24th October 1942, aged 21. Son of Andrew and Myrtle McCallum, of Saskatoon, Saskatchewan, Canada.